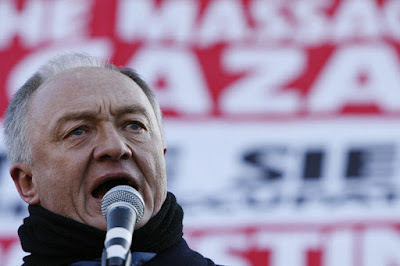 This is an excellent analysis from Electronic Intifada's Asa Winstanley that confirms all my suspicions that this crisis of 'anti-Semitism' in the Labour Party has been deliberately created. It has been created partly by the media, inc. The Guardian but without doubt co-ordinated between the Right of the Party and the Zionist lobby as represented by the so-called Jewish Labour Movement and the Israeli PR Group BICOM. I have no doubts that the hand of Israel's Embassy and its personnel are involved in destabilishing Britain's second major party. The prospect of the Palestine supporter Jeremy Corbyn being elected as leader of the Labour Party triggered a dirty tricks operation worthy of any CIA effort to destabilise a South American country. 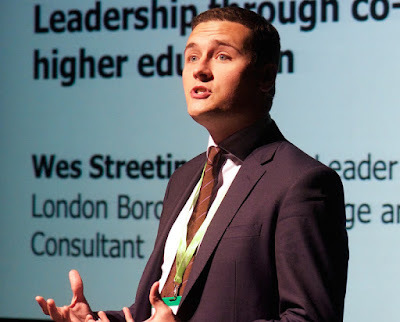 It has been aided by a compliant media and talking heads such as BBCs Andrew Neil, Guardian journalist Jonathan Freedland and other paid propagandists. Thousands of pounds have been spent on researchers going through hundreds of thousands of emails, tweets, FB posts etc. in order to dig up some dirt and if necessary manufacture some dirt. 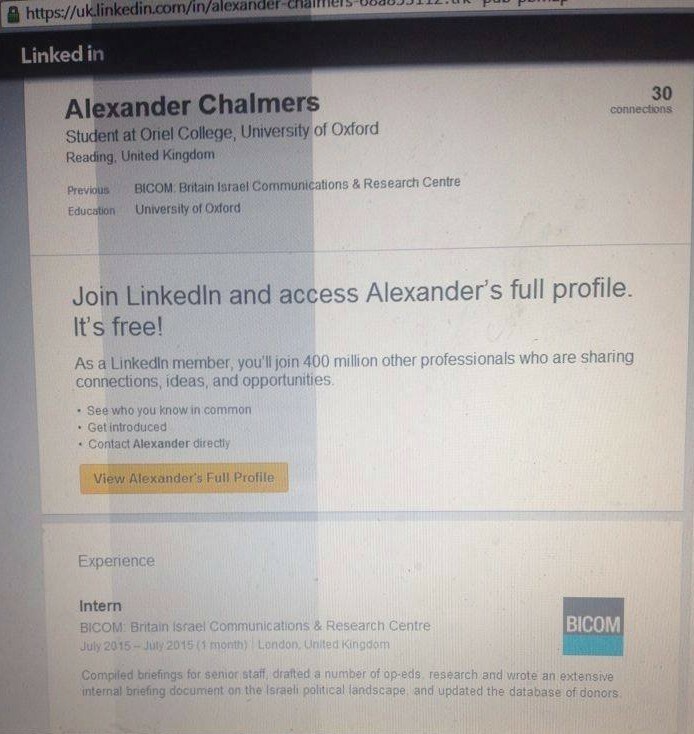 This article reveals how Alex Chalmers, the co-Chair at Oxford University Labour Club was an ex-intern at BICOM and a dirty tricks agent on behalf of the Zionists. His allegations of anti-Semitism at Oxford University Labour Club were totally without any supporting evidence and at least one student was framed. 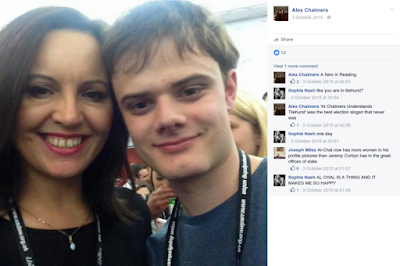 It reveals how Vicky Kirby was set up and the comments about Jews having 'big noses' was a quote from a comedy called 'The Infidels'. She has since received death threats. Someone who is wholly innocent was set up by the despicable creatures who have framed Ken Livingstone today. The judge criticized Newmark personally for a “disturbing” attempt to crush free speech in the union. 'Save your pitch fork for Corbyn'.